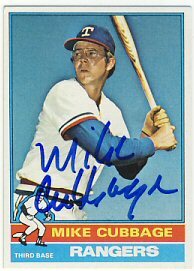 Today I received three cards back from Mike Cubbage who signed his 1976, 1978 and 1979 Topps. 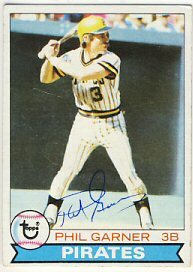 I remember buying packs in 1978 and hoping to get cars of Twins players. 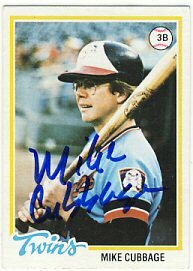 I seemed to only get Mike Cubbage and Butch Wynegar cards, and had a bunch of each of them. 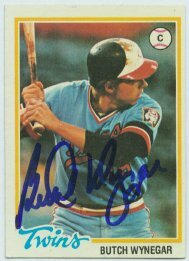 Once I discovered TTM autographs, Butch Wynegar was one of the first I sent to. 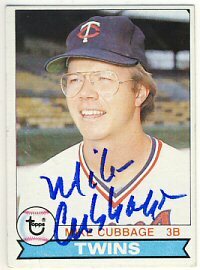 I also sent to Mr. Cubbage, but not his 1978 card for some reason. 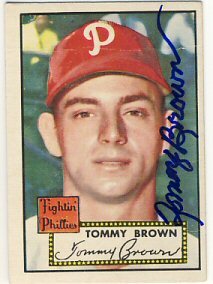 90 year old Tommy Brown signed his 1952 Topps for me in a little over two weeks. 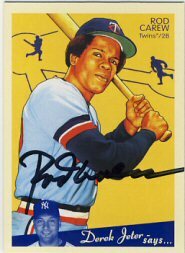 His signature is very nice for his age, and way better than most of the current players, who have unrecognizable signatures. 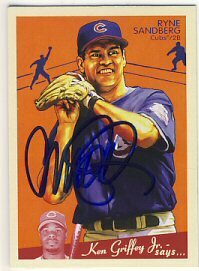 Ryne Sandberg signed his 2008 Goudey for me in 10 days. I really like this set, and have been trying to get some of the retired players from it. I've been working on it for quite a while but hadn't gotten any signed lately. I was fortunate enough to have Harmon Killebrew and Rod Carew sign their cards in-person at TwinsFest in 2009. I don't know why I waited so long to send this out to Mr. Kaat, but he signed it nicely in just 11 days for his $25 fee. He also included a nice handwritten note thanking me and letting me know that the donation would be used to support youth baseball and softball. 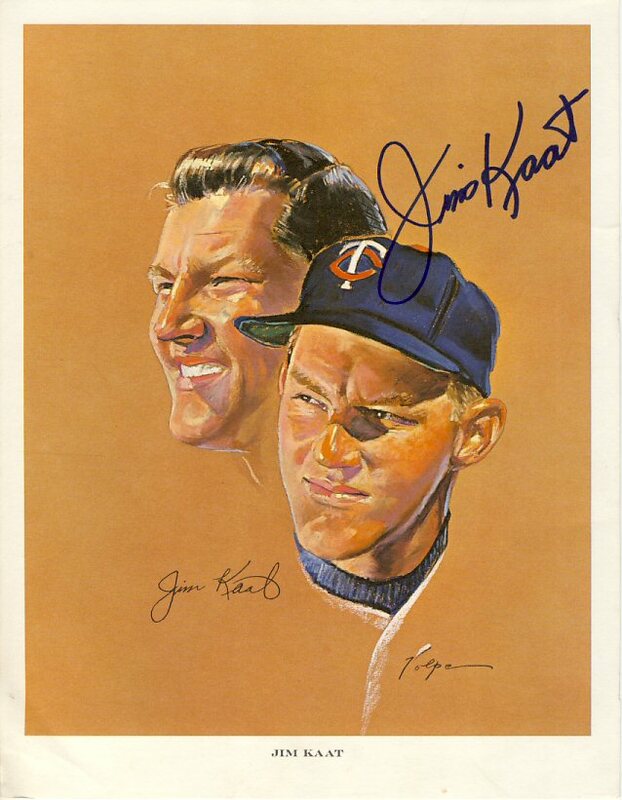 This is the seventh print I have signed from the 1964 set. 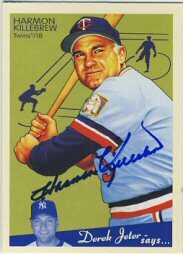 I also have 12 signed from the 1963 set. All of the portraits in the 1963 set have black backgrounds, whereas the 1964 set has various colors. I think I like the 1963 set a bit better, not because of the black backgrounds, but because they have a portrait as well as an action image of the player, whereas the 1964 set has two portraits. I had Mr. Kaat sign his 1963 portrait via a mail-in signing a few years ago. 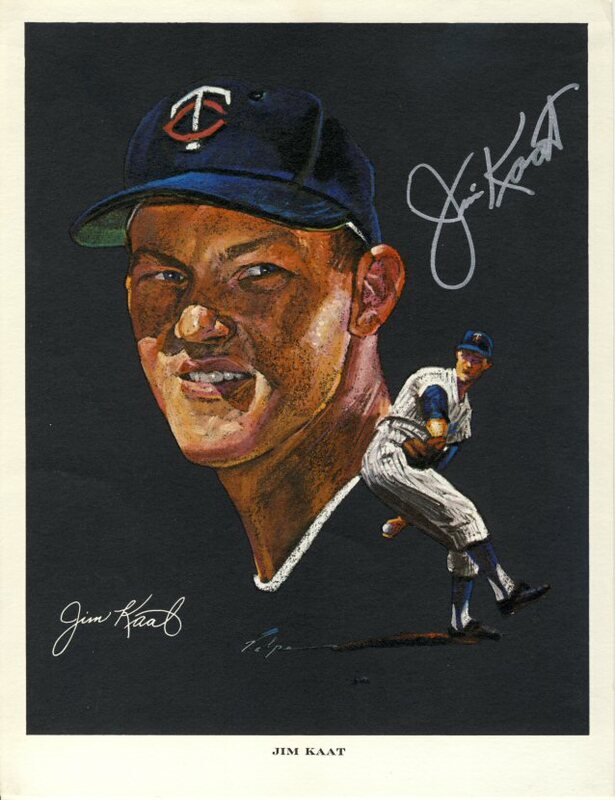 I also have a 1970 John Wheeldon print that was a Super Valu giveaway signed by Mr. Kaat. 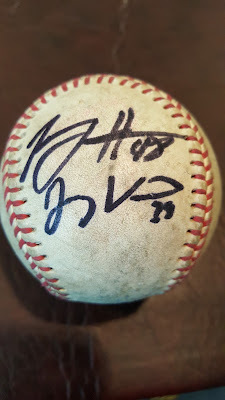 This was signed at an in-person signing in 2010. 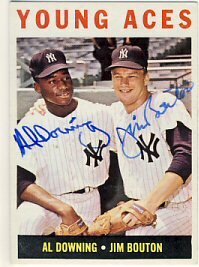 After getting Jim Bouton to sign the card a few weeks ago, I sent it off to Al Downing. Mr. Downing signed and returned it in just under two weeks. I missed watching the Twins over the weekend. An unusually late snowstorm hit Minnesota, which postponed three of the four games against the White Sox. 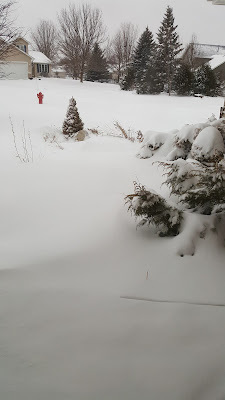 I was mostly indoors over the weekend, except for snow blowing the driveway. This was the view from my front door. After a bit of a wait for the seller to get this back in stock, I bought another 5-bat display case for the wall. I moved the other bat case to display right below it. 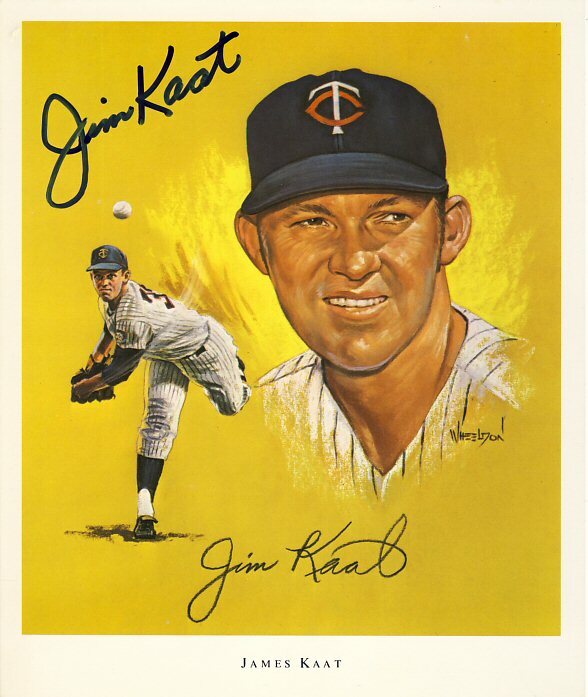 I normally hate to spend money on display items, as I'd rather buy more autographs! 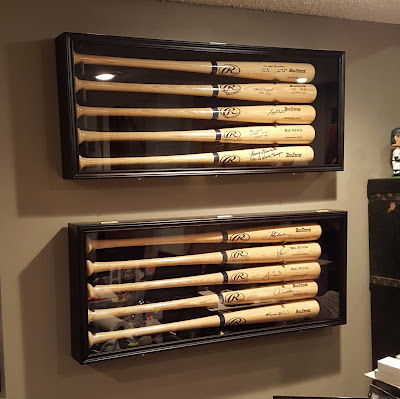 But without these I have no good way to display my bats and they just sit in a corner gathering dust. These cases are pretty affordable too, especially compared to other options I've seen. I could use one or two more, but I don't have the wall space to put them. 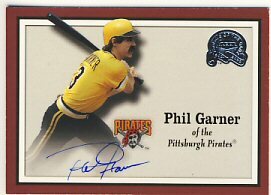 Today I received four cards back from Phil Garner in just nine days. 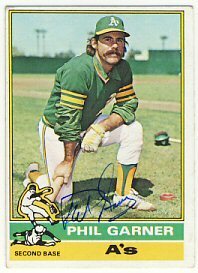 He was generous enough to sign his 1976, 1978 and 1979 Topps as well as his 2000 Fleer Greats of the Game. I have a handful of requests still outstanding, so hopefully they'll come back soon. I stopped in a Goodwill store today and came across a very used-looking baseball but decided to take a closer look. 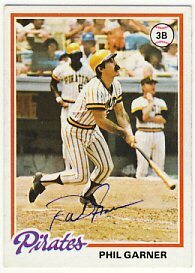 It had a couple black sharpie autographs on it that I didn't recognize, but for 99 cents, I decided to take a chance. The ball isn't an official Rawlings Major League ball, but any leather-covered ball has to be worth 99 cents just as a baseball, right? After looking online and trying to find players with the jersey numbers listed on the ball, I gave up and posted a picture of it on sportcollectors.net. In just a few minutes, another member identified the signatures as Tommy Hanson and Jonny Venters, who played for the Atlanta Braves from about 2010 through 2012. Unfortunately, Tommy Hanson passed away in 2015 due to issues with cocaine and alcohol. I have no idea how an Atlanta Braves-signed ball made its way to Minnesota, but it made for an interesting find.